To qualify as a church under IRS rules, you must structure your organization to comply with the legal definition of a "church." A church must have a particular creed and form of worship, at least one established place of worship, a regular congregation, regular services, and ordained ministers. Even though the houses of worship of some faiths are not called churches -- synagogues and mosques, for example -- they can still qualify as churches for tax purposes. A religious organization that fails to comply with the legal definition of a church can still qualify for tax benefits as a "religious organization," but certain legal benefits will not apply. To start a nonprofit, you must establish your church as a corporation, trust, or unincorporated association. Many churches choose to incorporate due to the advantages of limited liability. To incorporate, you must file a special type of nonprofit incorporation document with the state secretary of state and pay a filing fee. The incorporation document is typically only a page or two long. The main differences between a for-profit and a nonprofit incorporation document is that a non-profit incorporation document must include the names of the corporation's directors, and it must specifically state the corporation's purpose. A church does not have to apply for 501(c)(3) status to receive it. Nevertheless, it is a good idea to apply and receive approval from the IRS. If the IRS later decides that your organization doesn't qualify as a "church" for tax purposes, it will classify it as a "religious organization," which must apply for 501(c)(3) status in advance. You can apply for 501(c)(3) status on behalf of your organization by filing Form 1023 with the IRS. Form 1023 is dozens of pages long and requires detailed information about your organization. Obtaining 501(c)(3) status offers no lasting benefits if it is revoked. If your organization violates the restrictions on its nonprofit status, the IRS might even retroactively revoke it and assess tax bills for previous years. All 501(c)(3) organizations must refrain from distributing profits, including profits disguised as excessive "salaries." Nevertheless, the IRS is subject to special legal restrictions on its authority to audit churches. 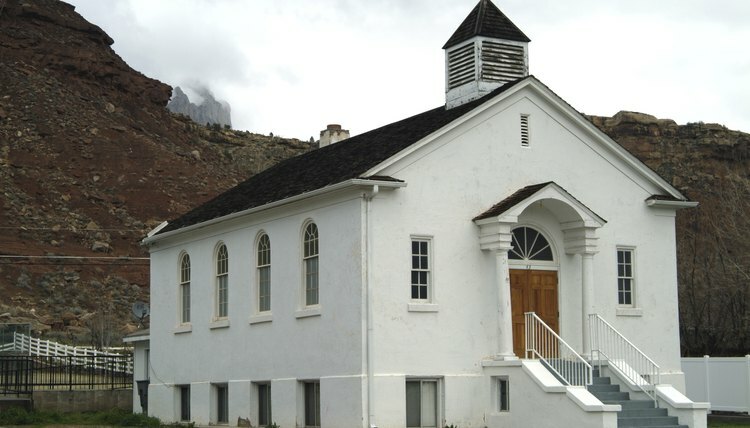 Churches are required to operate primarily for religious purposes. They must also refrain from substantial political lobbying activity, and from supporting particular any particular candidate for public office.